I am ill after treatment. What should I do? If you still have symptoms after Lyme disease treatment and want to know what to do next, visit our FAQ page where the “Chronic Lyme disease” section suggests some possible investigations which may be relevant to you. This page summarises the main theories regarding persistent symptoms in people who catch Lyme disease. Some patients experience persisting symptoms after standard antibiotic treatment for Lyme disease. Whilst the small amount of low quality evidence available does suggest that more than half of patients make a full recovery from Lyme disease, this still means a significant number of patients do not. Delayed recovery from some or all symptoms is experienced by some patients, after their antibiotic treatment has ended, which may last weeks, months or years. It is considered normal for some patients convalescing from a severe illness to feel ill for up to six months. Some people who catch Lyme disease, and are treated with antibiotics, feel ill for longer than six months. Symptom relapse occurs for some patients. They start to feel better, but then feel worse again either immediately, or some months, after they have finished their course of antibiotics. No improvement at all occurs for a small number of patients. Clearly, the patients who make little or no long-term improvement want to know why they are still ill. Regrettably, the small amount of research carried out so far gives us very little by way of an answer. Antibiotic treatment may not have eradicated the bacteria. Damaged tissues may need a long time to heal after the infection has gone. Tissues may be permanently damaged after the infection has gone. (Doctors call these kind of aftermath symptoms “sequelae”). Lyme disease may have triggered another condition, such as an autoimmune disease. It may be that more than one of these theories is correct, and that different patients fall into different categories. There may be another explanation that has not been considered yet. More research is needed to find out. Post Treatment Lyme disease syndrome or Chronic Lyme disease? The term “Chronic Lyme disease” has become a controversial one in the United States, with assertions in medical literature, newspapers and a multitude of websites as to whether or not “Chronic Lyme disease” exists. This debate is a pointless one whenever the speaker omits clarifying their own definition of the term before making their assertions about it. This is frequently the case, even in some scientific literature where such imprecision is unforgivable. In medical terminology, a chronic condition is usually defined as one that lasts 3 months or more. “Chronic” diseases are in contrast to those that are “acute” (abrupt, sharp, and brief) or “subacute” (within the interval between acute and chronic). So, what is the situation people have in mind when debating whether chronic Lyme disease exists? Do they mean untreated Lyme disease that a patient has had for more than 3 months? There is no doubt that this situation exists, and can last for years. One symptom unique to very long-term untreated Lyme disease is Acrodermatitis chronica atrophicans. Do they mean persistent bacterial infection after standard treatment for Lyme disease? We do know that almost any type of bacteria can survive courses of antibiotics in some people. How often this happens varies dramatically depending on the disease in question. We want to know how often this happens in Lyme disease. Currently, the scientific research on bacterial persistence in Lyme disease is inconclusive, and higher quality research is needed. Do they mean long-term or permanent sequelae after the infection has been cleared? The existence of a variety of such sequelae is well-documented. The cumbersome term “Post Treatment Lyme Disease Syndrome” (PTLDS) is sometimes used in medical literature to categorise patients with persisting symptoms. “Syndrome” means a collection of symptoms, and it is the correct word to use when the cause of those symptoms is not known. By denying knowledge of the cause of the symptoms, the term PTLDS seems to dismiss the possibility that the patient may still be infected with Borrelia burgdorferi, the bacteria which causes Lyme disease. This phrase has, indeed, been used controversially by some authorities in the United States, with the result that constructive scientific debate on this topic has apparently been quashed. The persistence of infection after antibiotic treatment is documented in almost all bacterial infections. The list of conditions, in which this happens worryingly often, is continuing to grow. In most diseases, the decision whether to prescribe further courses of antibiotics is made by the treating physician on a case by case basis. 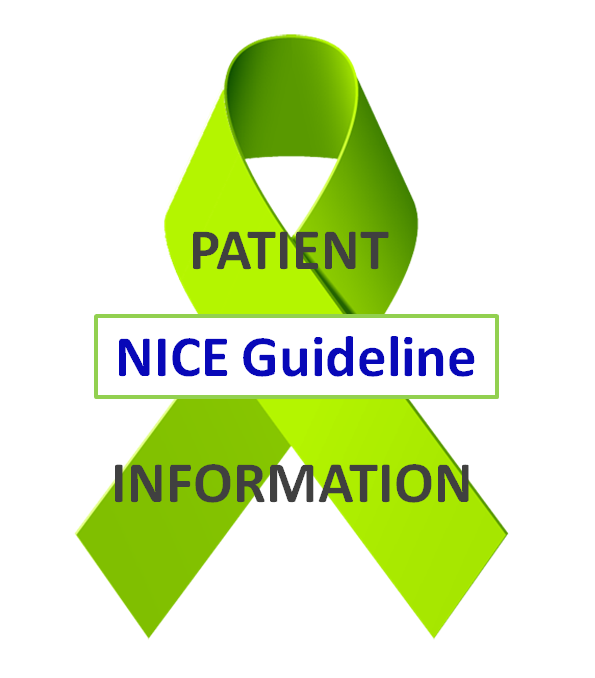 Nevertheless, guidelines for the treatment of Lyme disease in the USA specifically prohibit doctors from prescribing longer courses of antibiotics, and a few legal cases have been mounted against doctors who have done so. The justification offered for this is that there is no conclusive evidence longer term antibiotics will work, and this is true. However, there is also no evidence that additional antibiotics will cure any other infection that has persisted after standard treatment. Why is Lyme disease handled differently from other infections when a standard course of treatment has failed? In such a politicised climate, where the answer to a scientific question has effectively been dictated already, it is hard to imagine antibiotics trials being carried out in a setting without risk of bias. Part of Caudwell LymeCo Charity’s work aims to challenge such polarised and entrenched positions in Britain. Scientists, who approach their research with preconcieved views on the results they expect, probably have no contribution to make in the journey towards answers. Patients have made some researchers feel under attack with fierce criticisms, which may discourage good scientists from entering the field of Lyme disease research. We need researchers, doctors and patients to approach Lyme disease with an open mindset, and we need Britain to be a place where scientists can seek answers without any external pressure to find a specific result. Many patients with persisting symptoms after standard Lyme disease treatment believe the infection has not been eradicated. There is some research evidence that this is correct, and other evidence that it is not. The research is limited in quantity, of low quality and sometimes relies on outdated testing methods. This frustrating situation will only be resolved with higher quality research projects. If this explanation is correct, the most important question is: can the patient by cured with a longer course of antibiotics? Can they be cured with different antibiotics, or by combining antibiotics? Can they be cured with intravenous antibiotics if oral antibiotics have failed? So far, appropriate research that could answer these questions has not been done. Some private doctors offer their patients long term courses of antibiotics experimentally. Some of them make claims as to their success rates in treating patients in this way, and their claims vary. Reports by individual doctors about their patients play a very valuable role in formulating theories, but they are too vulnerable to inaccuracies or risk of bias to be taken by the scientific community as conclusive evidence. So far there have been no randomised controlled trials of such treatments giving clear answers, which could be used as objective or quantitative evidence by, for example, the NHS. The questions of antibiotic persistence after what is currently standard antibiotic treatment raises other questions. Does antibiotic persistence only happen in some patients with persisting symptoms, and if so, how can we reliably identify which ones? If borrelia can survive antibiotics, why do they do so in some patients but not others? An opinion article by Paul Auwaerter titled “Point: Antibiotic Therapy Is Not the Answer for Patients with Persisting Symptoms Attributable to Lyme Disease” summarises the arguments for the view that persisting symptoms are not caused by bacterial persistence and that further antibiotic treatment will not help. A response to this by Raphael Stricker, called “Counterpoint: Long-Term Antibiotic Therapy Improves Persistent Symptoms Associated with Lyme Disease“ sets out the evidence and proposed mechanisms by which Borrelia burgdorferi could evade the human immune system and antibiotics. It summarises the evidence available so far to support the proposal that prolonged antibiotic treatment can help patients with persisting symptoms. Arthritic symptoms may persist because damage to joints, including erosion of cartilage, often does not heal; and thus all subsequent movement will continue to inflict wear and tear on an already damaged joint. Nerves can take months or even years to heal fully, and this means that a wide variety of neurological symptoms of Lyme disease can last a very long time after a Lyme disease infection. Such symptoms may include Bell’s Palsy or other paralysis, and problems with memory and concentration which could be likened to the slow recovery from a concussion or other head injury. As with convalescence from concussion, rest is essential and over-activity can make symptoms worse. Cardiac symptoms in Lyme disease are often caused by damage to the nerves which control the heart and the way it beats. Some patients need an artificial pacemaker for a period of time while healing, whilst others may require an operation (called a catheter ablation) to rectify the damage to the nerves. There are theories and some preliminary research suggesting Lyme disease may trigger auto-immune diseases, perhaps in people who were genetically predisposed. Alternatively, some suggest that the infection may have altered the patient’s immune system in such a way that it is “overactive” and creates an inflammatory response, even though the infection has gone. Some NHS doctors offer their patients the same help and therapies that they offer to patients with Chronic Fatigue Syndrome. It should be explained that these treatments aim to help with the symptoms like anxiety and chronic pain rather than provide a ‘cure’. These therapies include Pain Clinics, and Cognitive Behavioural Therapy. With thanks to Adam Hughes for permission to use his photographs.